Johns Plumbing, Heating & Air residential and commercial heating and air, Winston Salem, includes expert HVAC installation, repairs & maintenance. Cold weather is a bad time to discover that your residence or business HVAC needs service and repairs. Call Johns Plumbing Heating & Air: John's installs, repairs, and maintains HVAC systems for both homes and businesses. Contact us now for great HVAC specials! 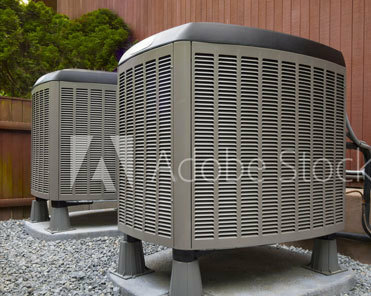 Think you may need a major HVAC installation? Let Johns experts have a look at your system. Johns Plumbing, Heating & Air services and installs most major brands of heating and air conditioning equipment for customers in Winston Salem. Johns Plumbing, Heating & Air services offers High Efficiency alternatives that will lower your energy costs, and we back all of our heating and cooling services with one of the industry’s most comprehensive warranties.